Alphington’s YarraBend development will have restaurants and bars selected by one of Melbourne’s best chefs. And Tesla charging stations. Alphington’s soon-to-be-built YarraBend precinct will include more than 2000 homes, townhouses and apartments in Melbourne’s northeast. 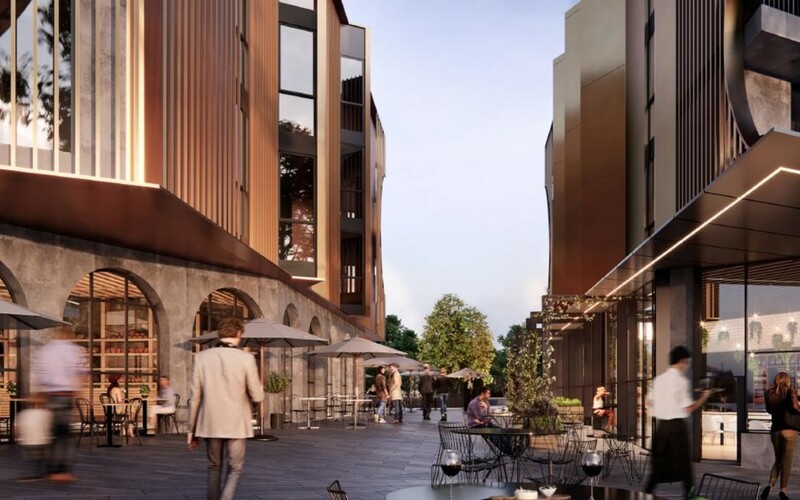 It will also feature new retail spaces as well as a slick food precinct featuring grocers, a bakery and a variety of eateries – a culinary offering coordinated by top Melbourne chef Scott Pickett. Enlisting Pickett, the chef-owner of Northcote fine diner ESP and Collingwood’s Saint Crispin, shows the new lengths developers are going to, to entice buyers to choose their projects over others. Celebrity endorsements of residential developments aren’t new to Melbourne. (Just look at Grand Capitol’s recruitment of actress Charlize Theron for its luxury apartment block in South Yarra). But YarraBend’s sales and marketing director Ashley Bramich is quick to distance YarraBend’s collaboration with Pickett from this idea. “We didn’t want a celebrity chef – we wanted someone to be invested, passionate and responsible on helping us deliver,” he says. Pickett is a northside local who “knows, lives and breathes the inner north and what people want,” Bramich explains. “I regard him as being Mr Inner North of hospitality. Pickett won’t just select the businesses operating in the food precinct – he’ll also advise on their business models and practices. The development at YarraBend has been designed around principles of sustainability and wellness, with each residence fitted with a rainwater tank, bike rack and car-share facilities. Car-charging points will be available throughout the development. The food precinct will focus on reducing food waste and recycling, which Bramich says is “critical” to the developer and future residents. Bramich points to Pickett’s diverse hospitality offering as another reason for his suitability.